Every little improvement you can make to a car will pay off in the form of precious seconds on the track. 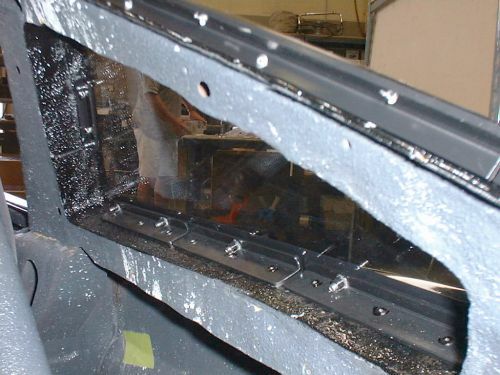 We were able to trim quite a few pounds off the vehicle by installing custom Hyzod polycarbonate windows. 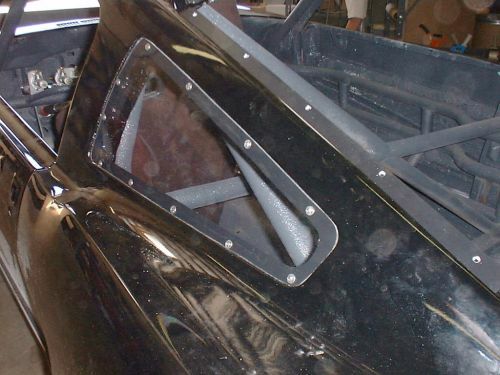 In addition to the weight savings, air flow across the body will also be smoothed out by flush mounting the windows. 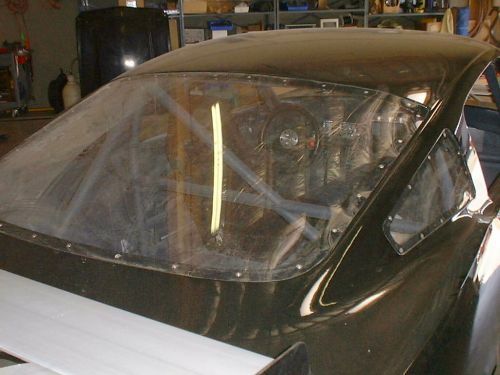 HYZOD® Polycarbonate is very similar to Lexan®. These materials are just as clear as glass but have an impact resistance 250 times greater. Starting with angled aluminum, cuts were made at key points to allow our mounting bracket to follow the contour of the body. 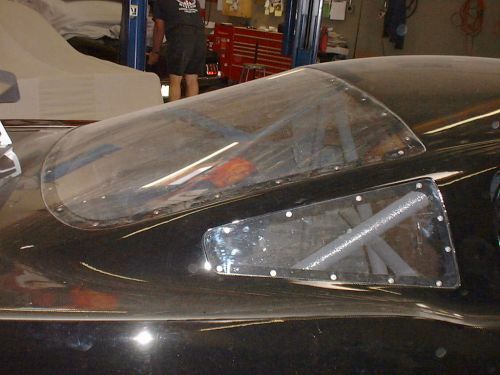 Each of the windows was custom fitted with a sheet of Lexan. 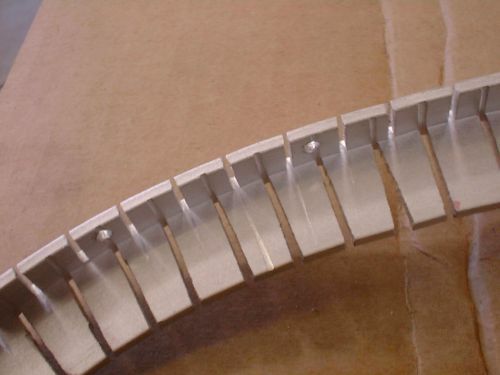 An initial rough-cut was made, followed by hours of grinding and sanding to get the tightest fit possible. 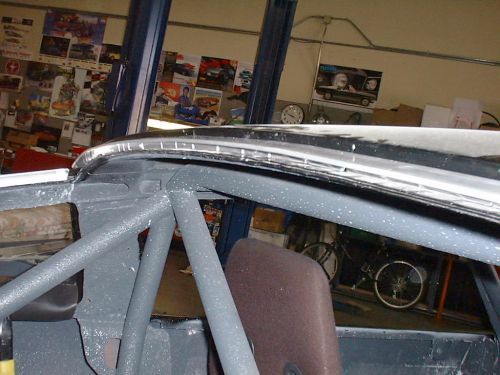 The photo below shows how closely we were able to match the surface level of the roof line. After each window was fitted, all the brackets were removed for painting. 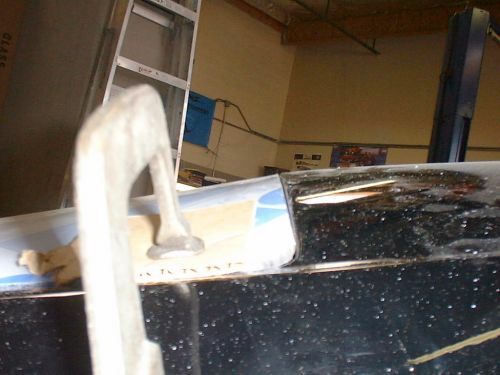 Rivnuts were then used to mount the windows to the brackets. 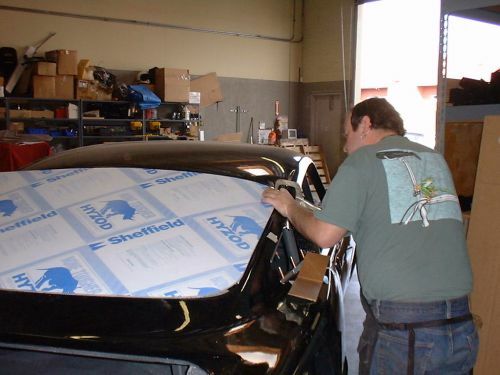 The end result is a very clean looking and effective window installation.